Having begun with the end of World War I and having ended with what would become a worldwide financial crisis, the 1920s were a time of significant social and economic change. As a result of World War I and the worldwide women’s suffrage movement taking place, women became much more active in society, such as participating and volunteering in the war effort. The war also had an effect on men’s fashion, delaying changes in style that would eventually take place in the next decade. Paris was no exception to these social changes, and while remaining the fashion capital of the world for fine women’s clothing, it propelled women’s fashion from modest and impractical to modern, sensible, and unconventional. At the end of World War I, men came back world-weary desiring to create a society more democratic and egalitarian in France. With this egalitarian society came a greater equality between the sexes. As a result of this increased equality, Madeleine Ginsburg, author of Paris Fashions: The Art Deco Style of the 1920s, states that “[b]y mid decade, in fashion terms the ideal new woman was a tomboy, a garconne, young, slim, athletic, short-haired and short-skirted, almost androgynous in appearance; a friend and an equal rather than a passive dependent” (12). This ideal was exemplified by the style of dress designed during this decade. There was a desire to appear two-dimensional, with boyish, shapeless styles featuring low waists and higher hemlines. Ginsburg quotes a fashion book of the time, which says, “[t]he shape of the lady who wore the fashion was…considered an enchanting, bosomless, hipless, thighless creature…and fairly tall but seemed taller than she was by reason of her remarkable slenderness” (50). The blatantly menswear-inspired outfits of the 1920s continued to reflect the social changes taking place for women, but as the decade progressed, the styles were less drastic: waistlines rose and clothes tightened some on dresses, skirts, and blouses. To appreciate and understand the changes that took place in fashion in the 1920s, it is necessary to look back and realize what clothes looked like before this time. At the turn of the century, women were wearing extremely modest dresses: floor-length, long-sleeved, and high-necked. Dresses were also fitted in the bodice, due to the social requirement of wearing a corset every day. During the “teens,” women began to have a more active role in society, resulting in more practical clothing. Hemlines rose slightly and clothing loosened considerably. These changes in fashion led up to the decade of the Lost Generation, when almost everything was done to excess, and nonconformity was the norm. The typified woman of the 1920s, the flapper, was, as Ginsburg describes, the “young, more aggressive and less conventional woman” (13). The flappers wore shocking knee-length dresses and were known for their bobbed hair and scandalous dances. Zelda Fitzgerald, a flapper herself, described the flapper as a woman who thought “it was fun to flirt, …bobbed her hair, …put on her choicest pair of earrings, and a great deal of audacity and rouge and went into battle” (391). Flappers did epitomize the Lost Generation and the excess associated with Paris in the 1920s. 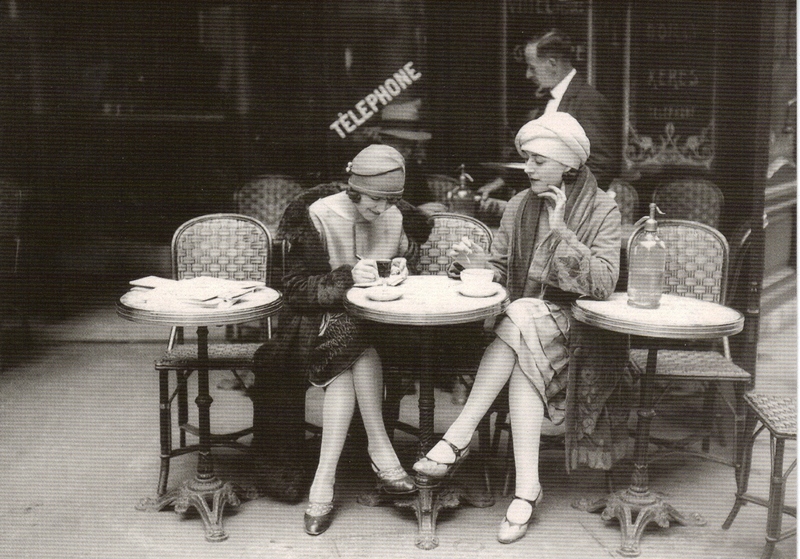 Flappers in Paris also set a trend that would be followed in other countries, such as the United States. 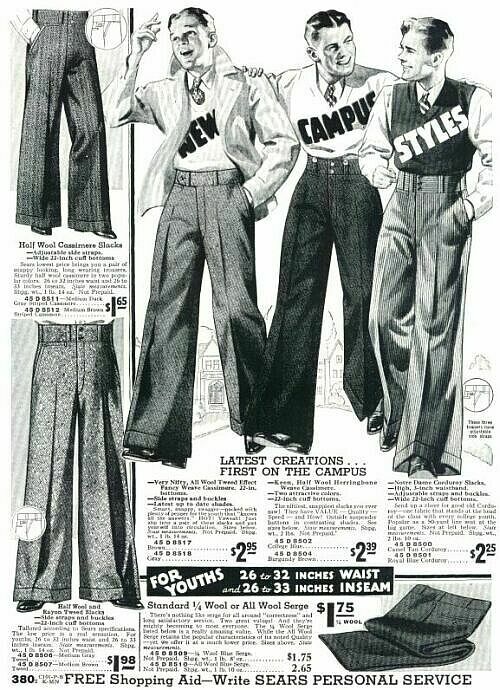 or extremely wide-legged pants, became fashionable for men first in an effort to by-pass a university rule, and then became popular worldwide, drastically changing the image of fashion for men. Paris was and still is the center of women’s fashion, where trends are born and die. During the 1920s, the changing fashion styles were important because they reflected the social changes taking place, especially women’s changing role in society. A more active, involved, equal woman deserved clothing to suit that lifestyle, and the fashion designers of Paris rightly responded. Fitzerald, Zelda. The Collected Writings of Zelda Fitzgerald. Ed. Matthew J. Bruccoli. New York: Scribner, 1991. Print. Ginsburg, Madeleine. 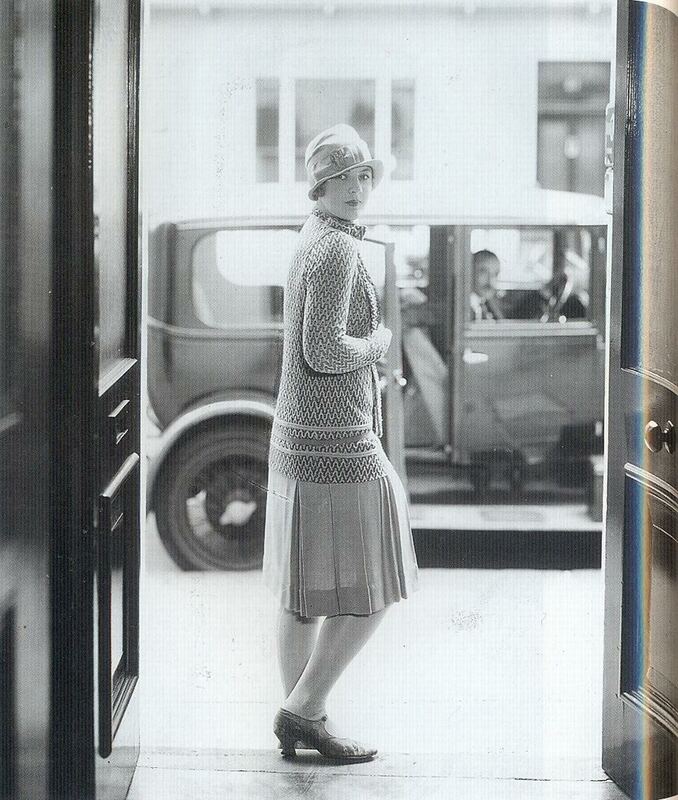 Paris Fashions: The Art Deco Style of the 1920s. London: Bracken, 1989. Print. Nolan, Carol. “Mens Fashions of the 1920’s / Twenties Fashion.” n.d. Web. Oct. 2010. ReVamp Vintage Clothing: 1910 Fashions, 1920s Clothing, Vintage Clothing 1930, 1940s Vintage, 1950 F. n.d. Web. Oct. 2010. Thank you so much for your awesome posts! I have a project about Paris and needed more information! Thank you again, you truly are awesome!